The International Tennis Federation voted Thursday to reformat the Davis Cup, the 118-year-old men’s international team tennis event, changing it from a competition that is played over four weekends throughout the year to a season-ending, 18-team tournament played over one week, World Cup–style. Beginning in 2019, 24 nations will compete in a home-or-away qualifying round in February, with the 12 winners advancing to the final tournament. They will be joined by the four semifinalists from the previous year, along with two wild-card teams. The first championship will be held Nov. 18-24, 2019, in either Madrid or Lille, France. Many of the best tennis players currently opt to skip the Davis Cup because it conflicts with other tournaments and preparation for Grand Slam tournaments. Rafael Nadal, Novak Djokovic, and other players support the changes, which would also include shortening the matches from best of five sets to best of three. The reforms were pushed by an investment group, led by Barcelona football star Gerard Pique, called Kosmos. It will spend $3 billion over 25 years on the new event, leading status quo defenders to accuse the ITF of selling out. “The money that we will make will go to the nations to put into their development programs for juniors and for the future of tennis,” Haggerty said Tuesday during a conference call. Disappointment is natural. What about former Wimbledon champion Pat Cash? Even Cincinnati mourns the ridiculous decision of @ITF_Tennis The 12 votes of the FFT have done very bad. Decision very difficult to assume as French ... 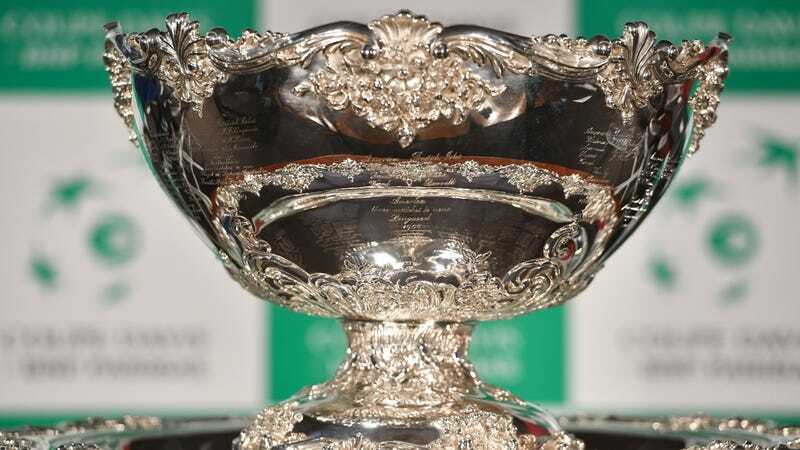 The Davis Cup is dead and part of the history of our sport soaring for a handful of dollars. That’s pretty dramatic. How about English player and lovable schlub Marcus Willis? Are changes to a tennis tournament actually like right-wing politicians leading a charge to remove an entire country from the European Union, thereby threatening to unravel decades of international cooperation? French women’s player Alize Cornet, can you come up with a worse analogy?